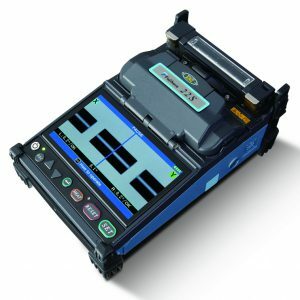 The S123C Hand-Held Clad-Alignment Fusion Splicer has been enhanced and updated to version 2. 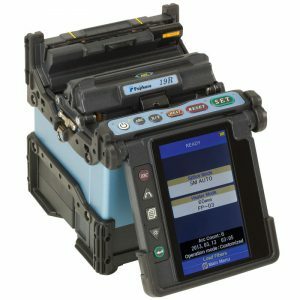 The battery is automatically charged internally when connected to AC mains power even during operation. The new illumination lamp lights up a wide area around the V-grooves and helps operation in low light environment. The redesigned and strengthened heater simplifies the protection sleeve loading process. 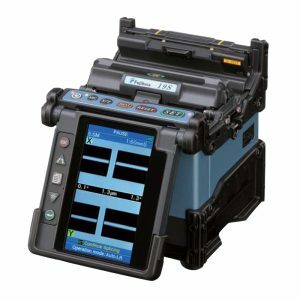 Splicing Drop/Indoor cable is possible with newly designed kits. and heating, while it offers SOC solution as well.